Cliffords Tower, View from the top. This is the view from the top walkway of the Tower. 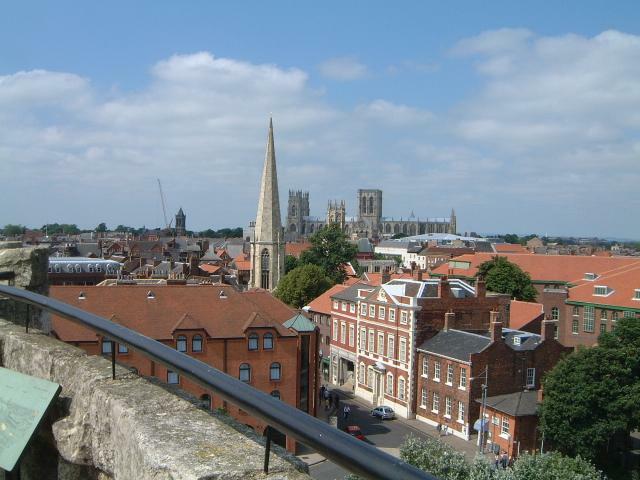 York minster can be seen on the horizon.